Just a few days remain until the Easter weekend – one of the biggest spikes in the retail calendar. The Easter egg market alone is worth £365 million, while many consumers use the public holidays as a time to shop. In fact, according to Experian FootFall, European consumer activity often increases ahead of the weekend and continues into the week after, creating the potential for a two-week surge in spending. This presents a fantastic opportunity for retail businesses to boost profits, however, it’s not without its pitfalls. Namely, more shoppers equal busier stores, and therefore place a greater strain on operational resources. Queuing is a particularly big challenge for retailers, who fear that long wait times will lead to shoppers abandoning their purchases. As the saying goes, prevention is better than cure. Looking back over previous Easter periods, trading patterns can reveal vital details on when your store is likely to be busy, enabling you to put measures in place – such as increasing workforce – to ensure customer service standards are upheld. A good retail business intelligence tool is essential for these insights. Although it won’t stop ebbs and flows in consumer traffic, it will prepare your business for the most intense stress moments. Many retailers rely on one or two fixed points of sale, so waiting lines can quickly build up during busy moments. Mobile POS technology is a very effective tool for preventing this congestion, as retailers can quickly and easily open up an alternative point of payment when queues begin to lengthen. Not only that, but the portable nature of mobile payment devices mean retail staff can use them at any point within the store – so shoppers don’t even have to join a queue to make their purchase. It’s very easy for a seemingly controlled situation to suddenly become very chaotic at peak trading times; queues can go from 2 or 3 people to 7-10 in the space of a few minutes. Again, mobile Point of Sale systems can come in very useful here, as dedicated ‘queue buster’ staff can wander up and down the lines processing payment details to quickly get the queue back down to a manageable length. Another factor compounding queue times is the length of each customer transaction. While there are a limited number of things you can do to make scanning and packing goods a speedier process, there are ways to decrease payment times. Promoting contactless payments for low value purchases is a good example. Another is integrating loyalty schemes onto an application for consumers’ mobile phones, so they don’t have to spend minutes searching through their wallet to collect or redeem points. Loyalty programs are known to increase both the value of customer relationships and revenue for businesses. A recent study by AC Nielsen shows that 60% of consumers consider loyalty programs an important factor in their buying decisions. And customers spend 46% more with brands that deploy loyalty programs on average. But what makes loyalty programs tick, and how should a retailer choose the program’s value back to the bottom line? A successful loyalty program is built around powerful rewards and incentives that encourage frequent visits and increased spending. Increasing visit frequency or repeat footfalls is just one reason customer loyalty matters. Attractive incentives are the main driver for buying behaviors. 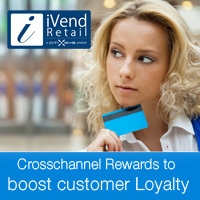 A good loyalty program helps retail businesses offer custom rewards. Retailers are able to assign point values and create rewards that encourage customers to come back and repeat buy. An effective loyalty program impacts customer behavior by aligning point values with the number of visits. Design rewards to entice members to return to increase revenue. With Forrester reporting that mobile will account for 29% of online consumer purchases in 2014—up from 21% last year—it’s now imperative that a loyalty program be mobile too. What, exactly, does mobile loyalty look like? A Mobile loyalty program depends on the retailer’s business, his target audience and the kind of relationship retailer is looking to build. But despite all if’s and buts brands are now extending loyalty programs to mobile environments in ways that create new customer interactions and build brand value. Increasing visit frequency should be the core of every loyalty program. Frequency translates to members visiting more, and increasing their spend over time. Research indicates that loyalty program members not only spend more when they visit, they also visit about 20% more often than non-members. By designing incentives that entice customers and urge them to shop are one of the most impactful way to motivate customer decisions is to understand what they want, and to stay in touch. Loyalty programs encourage people to Buy and then repeat the purchase. Customers like to be rewarded for being loyal — especially if the rewards program offers them a significant savings or discount. Incorporating rewards programs that connect to customers’ socially puts additional focus on the business, thereby increasing the potential for new customers. The Shopping behavioral intelligence of loyalty program can make retailer use it many innovative ways to tailor new promotional activities with focused and targeted campaigns. A customer loyalty program therefore becomes an ingenious marketing tool that makes a memorable statement about a Retail business. 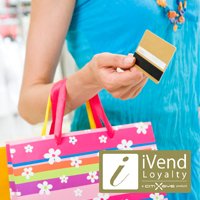 Leveraging iVend Loyalty makes it possible for retailers to get a clear, unified view of brand interactions across channels whether online, mobile or instore. The integrated Loyalty experience enhances retailer’s ability to offer customers personalized service based on all they know about them—no matter which channel they opt to shop from. Loyalty is the crucial bridge between offline and online. And an integrated loyalty application such as iVend Loyalty that reflects all-channel view of consumer behavior is a big opportunity for retail chain owners to boost sales and increase profitability. 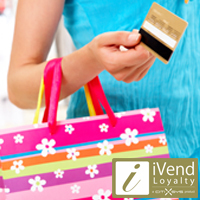 The purpose of the loyalty program is to provide competitive advantage for the retailer. To maintain that edge, retailers must continuously adjust and evolve their program as per customers’ needs, business requirements, and competitors’ offerings. 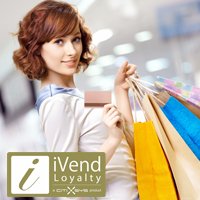 With Mobile devices gaining an important position in retail landscape, iVend Loyalty introduces Loyalty Web Portal which allows loyalty cardholders to view their card balance and history on their mobile device while the merchant can change the look and feel of loyalty customer portal online using the html editor. A loyalty card holder can access loyalty account on a mobile device anywhere, anytime, view the reward details and merge/join/link multiple loyalty cards with single account. 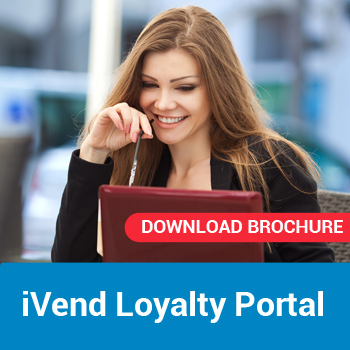 iVend Loyalty Portal is a secure, web-based application that allows, the retailer manage cardholder accounts, update cardholder profile information, add new pages, change email template, customize the registration page, design and publish the new page created page on loyalty customer portal. Link and merge multiple loyalty cards into one account. The times sure have changed. We live in a connected world. The future is now, so to speak. Technology allows us to have a video chat with a friend across the globe. Social media gives you a 24/7 news feeds focusing solely on the comings and goings of your friends and family. Technology has now even brought us beyond the Moon, to Mars, as of this past week. As breathtaking images pour in from the surface of the Red Planet, the wireless technology that makes it all possible is affecting daily life for you and yours in a far more practical manner. What does this all have to do with retailers doing what they can to inspire customer loyalty? Good question. Simple answer: for a retailer, staying connected to your customers is just as important as friends and family staying connected to each other. Technology continues to become a mainstay in people’s lives, retailers are elbowing their way towards you trying to reel in your business. However, earning a sale is only one part of a much larger picture. The goal of every retailer is to not just earn a sale, but to keep that customer coming back for life; the only way a business can truly achieve organic growth. The first and most essential step in satisfying a customer’s needs is having a well-oiled machine of integrated retail systems. If a customer cannot find the product in-stock in your store, you should have several contingency plans in place to combat this. Most customers are aware that a store can only stock a specific amount of inventory on the premises. Having a system in place to order the product to your store specifically for your customer, or have the product delivered to the customers home, all with a guaranteed date of arrival, will satisfy your customers and avoid disappointment. Customers have more choices than ever for where they take their business, whether it be for electronics, cars, or clothes. One way for your company to motivate a consumer to shop with you is by giving them an incentive. Let’s face it, incentives make the world-go-round. The economy itself is now built on incentives, more than anything else. Give a customer an incentive to shop with you, and you will have a decisive advantage over your competitors. With a rewards program, such as Reward Zone at Best Buy, customers earn a small percentage of their purchase total back in Reward Certificates, which is essentially the same a gift card that can only be used at their store. For example, spend $1000 at Best Buy and you will earn $20 in Reward Certificates. It may not seem like a lot, but its free store money to come back and spend, and when you are already giving your customer the best price in town, rewards can leave the customer walking away happy, inspiring customer loyalty that will not only bring them back to your store, but inspire them to recommend your store to their friends and family. Growing from the customers you already have is essential. Coupons and sales can only do so much. Retailers will now react to the sales of their competitors and lower their prices accordingly. Even when prices aren’t officially lowered, consumers have a great grasp on utilizing the now very liberal price-matching policies. Having a customer loyalty program that gives the customers something back for choosing your business, on top of coupons, sales and price-matching, shows the customer how much you value them and may result in a customer for life. In this day in age, it is not at all uncommon for most service chains to be filled with customer loyalty program tags by various retailers. At nearly every turn, we are prompted to scan our rewards tag or enter our phone number in order to earn “points” or “cash back” for our spending. Though these programs are everywhere throughout the retail marketplace, the importance of customer loyalty programs is spreading to other arenas. Here we will explore how customer rewards systems can benefit and work within non-retail businesses. When consumers make travel arrangements, they are met with countless options for their sleeping accommodations. Because much of the country is still struggling with the economic downturn less people are traveling, and those who are want to get the best value for their dollar. It is for these reasons that customer loyalty programs are essential for attracting and retaining hotel guests. Many hotel chains have set up rewards services with member-recognition which allows guests to earn points for each night, or stay at one of their locations. After a certain amount of points, consumers can earn a free night. This is very attractive to consumers and adds the needed incentive to keep guests returning. In addition, some hotel loyalty programs also offer special promotions and discounts for loyalty members, such as reduced rates on special holidays or birthdays. The cost of an airline ticket can be staggering, which is why rewards programs for airlines are crucial to retaining flyers. For those who must fly frequently for work, or who simply enjoy travel, a customer loyalty service for flying is the best way to get the most bang for their buck. Because of this, many flyers will only travel with those airlines who offer these services. As with the case of hotel programs, customer rewards services for airlines enable flyers to accumulate points, or “miles” for their purchase of a plane ticket. Some airlines allow customers to strictly put these miles toward future flights, while others will also allow their flyers to use their points to upgrade to first class, receive cash back. Customer rewards services for credit card companies is another trend that has gained in popularity. These programs are extremely beneficial to both the spender and the agency, as customer loyalty plans for credit cards encourage higher levels of spending while offering great rewards options to consumers. Such programs will typically include some type of cash back rewards or the option to earn points for every “x” amount of dollars spent. Points can be saved and used to purchase a number of items from exercise to iPads and even travel accommodations. As the popularity of customer rewards programs increases, it becomes more important for movie theaters to get on the bandwagon. Especially now, while consumers are not spending as much on entertainment, movie-going has become the top pick for some fun and escape from reality, and rewards programs will keep them coming back. Some theaters offer points for each movie ticket purchased, while others rack up points for every dollar spent, including at the snack bar. Points eventually entitle a movie-goer to a free night at the movies or free popcorn and drinks. You may even consider extending a free movie for the member’s birthday. Regardless of whether a business is retail-based or not, it is important that all companies strive to reward their customers for loyalty. Establishing a rewards program with member-recognition is the most effective way to satisfy your consumers and keep them coming back. If customer loyalty is important for the success of your business—and it obviously is—it becomes even more so in an economic climate like the one we are experiencing today. Fortunately, new innovations in the retail sector like the advent of online and mobile channels has made it much easier for you to launch targeted and cost effective campaigns to promote long-term relationships with your customers. Implement a system-wide strategy for gathering and evaluating customer information for personalized promotions, with a centralized marketing database to give you a unified view of your customers, and facilitate unified messaging and channel strategies. Also, appoint a customer officer to supervise and manage all aspects of your customer loyalty programs, including promotions, events and campaigns. Designate a cross-departmental team to set guidelines for tracking and measuring the success of your loyalty systems, making sure that customer needs are a key component of your cross-channel loyalty offerings and that you maintain a consistent message rather than sending varied messages depending on channels of delivery. You want to know that you are using all sales channels to attain integrated customer loyalty programs resulting in retention, engagement and reactivation. Integrate mobile marketing into your cross-channel loyalty programs by taking advantage of strategies like mobile coupons delivered through web marketing, mobile apps, Short Message Service (SMS) and Multimedia Messaging Service (MMS). Conduct social media campaigns. For example, start up an online community as part of an opt-in micro-site with information on products, promotional offers, and web events exclusively for your loyalty members—then expand to include games, online contests, in-store events and mobile device interactions for loyalty customers. Identify more ways you can use online communities to connect with target populations as part of an integrated customer loyalty program. You might want to create fan pages to form exclusive communities with user generated content and promotional offers that allow consumers to follow and interact with you online; or set up your micro-site so when customers engage with your brand you can receive suggestions regarding product and operations. You can then implement the ones you judge beneficial to both your brand and your customers, giving them a sense of being part of a special community and of having part ownership in their own shopping experiences. Merchandise-centric promotions geared around bundling merchandise packages together in up-sell and cross-sell opportunities. Membership discount cards as part of a paid plan program offering specific promotions to its members and access to exclusive deals and promotions around seasonal merchandizing. Rewards or frequency offers for retaining current and regular customers, typically extending benefits based on how often the customer shops, like dollars or point perks when specific spending or frequency thresholds are crossed. This might also include a multi-tier loyalty program aimed at rewarding your most lucrative customers and personalizing their purchasing experiences by providing incentives like pre-sales on select items, priority access to products with limited inventory, discounts, and exclusive offers based on their purchasing patterns. A proper mixture of the above components across all channels while operating a thoroughly integrated cross-channel loyalty program is an extremely effective recipe for boosting long-term customer loyalty. 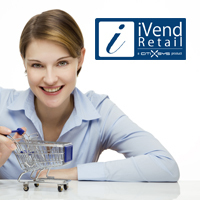 A three part webinar series on iVend Retail Suite of Applications focuses on the recent innovations in iVend Retail. The sessions are beneficial to modern age Retailers looking for integrated retail systems for better profitability & efficiency. Session One talks about about retail analytics and how a CEO/ CFO take better decisions to make a profitable retail business. iVend Analytics is a Business Intelligence (BI) platform that provides Dashboards and Analytics for iVend Retail, SAP Software or any other Application . iVend Analytics is a set of pre-packaged, shrink wrapped Business Intelligence dashboards which seamlessly plug into iVend Retail. With in-memory processing of iVend Analytics, SAP and/ or iVend users can use Sales, Inventory, Executive, Loyalty or Retail BI applications. Additional applications can be built based on customer requirement. Session Two talks about in-store management, multi-channel retailing, customer loyalty management and how does iVend Retail help retailers improve their operational efficiencies. Effective in-store management involves making routine tasks easy and configurable to adapt to different business situations. Multi Channel Retailing which is indeed the buzz word these days in the retail industry is also discussed in session two. 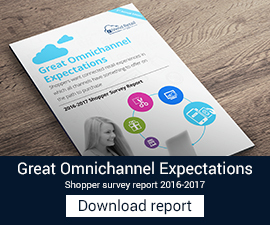 More and more retailers are today adopting and incorporating Multi Channel Retailing as a mainstay part of their business and overall retail strategy. As the name suggests, it is about having multiple channels of carrying out retail business. This session explains the ease of taking ones business on-line using iVend eCommerce and how does iVend Retail Suite of applications makes a business truly multi-channel. Customer Loyalty Management is the focus area of almost all the retailers. For the consumer, it makes absolutely no difference whether this relationship building happens actively on a Brick & Mortar store or on a web store front or through a mobile application. He wants a similar Overall Retail experience and customer service let it be any medium / channel he uses to complete his business. This session explains the seamless integration of iVend Loyalty – a points and rewards management application into iVend Retail. Session Three discusses Importance of Inventory Planning & management, Different retailer types and their expectations. Inventories being the biggest investment (to the tune of over 80%) that a retailer makes, even a small percentage reduction in inventory holding costs will make a huge contribution in savings of the retailer. This session talks about the tools available to the retailers to effective plan and manage their inventory. At the operational level Enhanced MRP helps retailer plan day to day replenishments and Inventory Pro – RF helps improve the warehousing processes. At the strategic and planning level, Sales Forecasting and OTB (Open to Buy) in iPlan help retailer better plan the sales forecast and the associated purchase budgets. 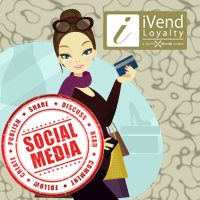 How to enhance customer loyalty leveraging Social Media? It was a mere half-decade ago that loyalty marketers began to start investigating seriously into how social networks and loyalty relate to one another. The rising power of social networks and customer word-of-mouth forced them to acknowledge its impact & importance since it has shown an inordinate effect in a short span of time. Nurturing and leveraging virtual consumer networks has now become a prime evolutionary trend in loyalty over the next few years. Obviously, consumer use of social media has exploded since then, led by the seemingly boundless popularity of Facebook, followed by Twitter, YouTube, LinkedIn and blogs, as well as the more recent location-based success stories such as Foursquare and raise-your-hand-together models such as Groupon. Research depicts that in 2010 worldwide internet users spent nearly a quarter of their online time on social networking sites and blogs, an increase of almost 19 % over 2009. Thanks to the iPhone and other smartphones, the use of social networks through the mobile phone is increasing at a rapid clip. These trends are bound to show a rapid increase with the number of mobile social network users to double between 2010 and 2015 i.e. from around 40 million users to close to 80 million. Marketers need to integrate “social” into their cross channel loyalty program efforts and ensure it is given proper attention from all channels. Hence- Reach out to them: Social media from the very beginning offered many natural connections to loyalty marketers seeking to cultivate customer loyalty. With its emphasis on word-of-mouth, sharing, linking, “friending” and “liking,” social media provides dominant & dynamic tools to implement such core loyalty principles as relationship-building, customer service, personalization and data gathering/analytics. Develop a Strategy: Social web provides the ideal platform to nurture higher engagement and advocacy. The need for the evolution of a dialogue to a ‘Trialogue’- where the members’ social networks become a part of the retailer – consumer conversation, is of great importance today and in times to come. With transactional and social interaction data available, loyalty marketers can spot community managers and brand loyalists, their help can be leveraged to spread out a positive word to enhance brand image with success stories. With quantification of ROI on social media initiatives being a challenge for all marketers, it is important for loyalty marketers to begin connecting in measurable ways with their best customers. Marketers thereby should identify their brand loyalists, take them seriously (Because they can elevate or tear down a brand), and engage with them continuously. Social media clearly offers transformational loyalty-marketing opportunities to retailers, but all of its unique benefits are yet to be tapped. And, as with any loyalty effort, gaining consumer trust, & providing a good value proposition—and a superior product or service—are essential. In Retail market the businesses that shall bring disciplined decision making, strong buy-in from the top, constant efforts at measurement and proof, and willingness to experiment that will win in connecting social media and loyalty and move to the next stage of success in the social media space. Social media offers the opportunity to see customers as more than just numbers. Through trialogue, social tools help bring customers to life—which helps loyalty marketers learn the right ways to reach their goal of building long term relationships. If you’re selling a product and you want to maintain customer loyalty one of the most effective ways to increase return business is through a loyalty program for your customers. It seems as though everyone has a customer loyalty program nowadays. The scheme may be managed by issuing a key ring, a specific membership card, or simply electronically through a series of continuous marketing email blasts. Loyalty programs are an important tool for todays retailer; here are five (5) key features of an effective loyalty program. When you’re operating a customer loyalty program your retail systems need to be integrated. That is, every time a valued customer swipes their identification card you need to know as much about them as your loyalty program allows. You need to know who they are, when and what was their last purchase with you, what their personal shopping preferences are, who they dealt with last , and if there are any red flags that require attention. Ideally your customer loyalty program should be tightly integrated with your point of sale solution from the store to head office to provide visibility through the company, including at the executive level. Integration is the key and in keeping with this theory your sales assistants at the store need to be able to engage customers through an effective loyalty program. Capturing your customers attention and making a positive impression is key to making a difference to their shopping experience with you. Simple gestures like referring to your customer by their name, acknowledging their shopping preferences, inviting them to special promotion evenings and a happy birthday greeting on their special day. 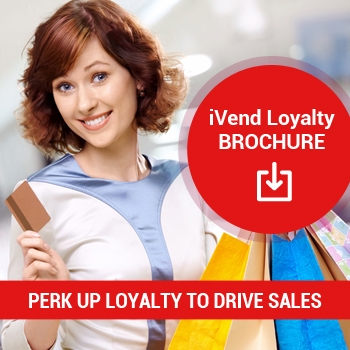 All simple measures that only a loyalty program can help you effectively implement. Your loyalty program could capture such specific information including keeping track of all purchases made to date and even a wish list of products your customer may be interested in purchasing in the future. Your loyalty system needs to offer value to your customer without it being perceived as spam or a vehicle to constantly push your product. An effective loyalty program acknowledges your customer for continued loyalty by giving something in return. Examples of such value added activities may include; special ‘VIP member’ shopping days, special ongoing discounts, advanced notice on upcoming promotional events, store credit offered on their birthday to redeem on any product in store or any other special perks you can offer your customers. Its a partnership that creates a win win for both parties that will achieve the end result, continued customer loyalty. Todays customer does not just shop in the same way or same fashion every time they purchase from you. So by embracing multi channel retailing you are able to adapt to todays customer and their shopping preferences. The same can be said about an effective loyalty system in that it has to be flexible enough to capture information on the customer’s preferred shopping experience including keeping track of sales made in store, online or by mail order and providing rewards for purchases made via all channels. An effective loyalty program needs to keep up with the latest technology and industry best practices and constantly evolve and respond to such market changes. One of the biggest pitfalls of some of todays loyalty programs is the overflow of constant information from the retailer to the customer. Customers are often bombarded with too many emails leading to customers unsubscribing altogether from the loyalty scheme. Soon enough retailers find that the loyalty system designed to increase customer loyalty is discouraging repeat business. The famous saying “less is more” reigns very true with an effective loyalty program, too much communication can be perceived as intrusive and therefore counter productive. As a retailer your customer loyalty program should embrace the above five (5) key points for effective loyalty management and a positive experience for your customer. One of the most basic tenets of marketing and advertising is the understanding that it costs a company significantly more in time and resources to attract one new customer than it does to retain the business of one existing client. A company with a high rate of customer attrition is, by necessity, bleeding far more money to continue attracting new clientele than a similar business whose only difference is their ability to retain the customer loyalty of existing clientele. Of course, the ultimate bottom line in maintaining loyal returning customers is the balance between the quality of your products and services and the prices for which you offer them. No amount of gimmicks or giveaways would make up for poor quality services or over-inflated prices in convincing clients to return. But assuming your products and prices are competitive and capable of retaining customer loyalty in their own right, the introduction of an effective customer loyalty program can tip the balance in a customer’s mind when making a decision between your business and that of a similar competitor. All other things being equal, your loyalty rewards might be the deciding factor when each consumer makes the choice about where to take their business. Ensuring that the loyalty rewards themselves are attractive and valuable to your customers will make their decision to keep returning all the easier. What Makes an Effective Loyalty Program? Rewards that are useful and attractive to customers. Even the most exciting-sounding perk or prize won’t be attractive to a client if they won’t be able to use it. A free week at a resort, just as an example, will have no value to a customer who doesn’t have the resources to travel to that resort or to take the week off work. Consider what your customers actually need or want, and let that information guide your choice of rewards. You might consider giving your clients choices, and even partnering with other businesses to offer multi-channel retailing among your reward options. Balance the cost (to you) against the gain of returning customers. Sit down with your sales records and advertising costs and make a calculation of how much it costs you to attract a new customer, how much you stand to gain by drawing repeat business of an existing customer, and make sure the cost of your offered rewards don’t overbalance the benefit of that returning customer. Make it easy to use the rewards. An integrated retail system allowing your customer to gauge their rewards–and use them with ease–right at the point of sale makes that customer loyalty program attractive to consumers. A reminder of their accumulating reward with each purchase, not to mention the use of new innovations in the retail sector like online logins to manage a rewards program’s benefits, add to the attractiveness of your reward program. The bottom line with any customer loyalty program is to entice existing clients (as well as potential customers) to make your business their top choice. Retaining existing customers is far and away the most cost-effective way to do business, so reward that customer loyalty and reap the benefits!